NO longer renting as of 2015. It’s that time of year again! We are looking towards sunny days at the beach, taking in deep breaths of the Maine salt air at Eiderdown. Please let us know as soon as possible if you are interested in a specific week as they fill quickly. We will try to fill your request as soon as possible after the returning guests’ priorities are filled. Eiderdown is located within walking distance of the small Maine fishing village of Camp Ellis at the mouth of the Saco River. Lobster pounds, a fishing pier and family style seafood restaurants are nearby. Eiderdown is less than two hours north of Boston, and only minutes from the Portland Jetport (PWM) to which dozens of non-stop flights arrive daily from all over the east coast. Eiderdown is 300 feet from a private sandy beach described as a "grand strand." Fishing is off the sea wall or by boat, and there is digging for quahogs, in season. Every afternoon, you can see lobster boats return to the Camp Ellis pier with their catch of the day. Eiderdown has a fireplace in the living room, two bedrooms, a sleeping porch, a screened sun porch, and a complete kitchen for your use. See the entire inside here. Eiderdown is in the heart of Ferry Beach, nestled into Saco Bay, surrounded by sand dunes, beach grass, and open spaces on the one side, and by hidden ponds, nature trails, and seclusion in Maine's tall pines on the other. 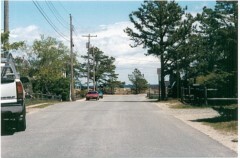 Ferry Beach State Park has hiking & biking trails to enjoy. 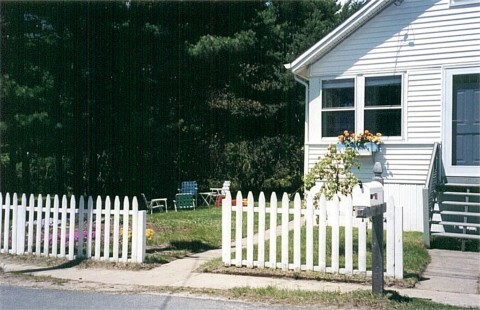 Eiderdown is a quiet oasis from the busy world with a spacious yard of lawn, lilac, and pines. 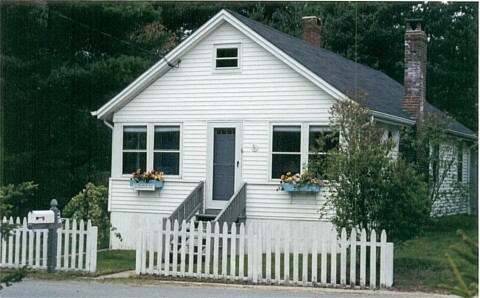 Eiderdown was a grandmother's cottage by the sea. It is not far from summer theaters, and a world class museum in nearby Portland. One looks out onto the same ocean as Winslow Homer did, painting Wood Island light at his studio on Prout's Neck. ...A cottage by the sea.